I LOVE PECS. 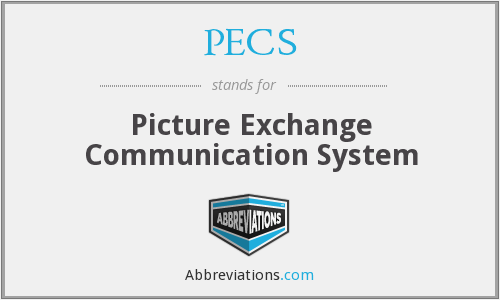 If you’ve worked with children, you’re familiar with the PECS system which stands for Picture Exchange Communication System. It is an alternative communication system developed in 1985 by Andy Bondy and Lori Frost, to help children affected by autism convey their thoughts and needs. Basically they are 1x1inch laminated squares with photos of things that the child may need to communicate. Whether it’s food options, a restroom symbol, a break request, a sensory request, or even photos of people in their lives, these pictures allow children to communicate when they otherwise wouldn’t be able to. One thing that not many creative arts therapists think to do is add our own equipment onto PECS! In my room, I have pecs for every instrument or adaptive tool in the room. I communicated with our speech therapists to get some PECS velcro boards as well as some basic PECS for breaks, restroom and sensory. I keep a binder of PECS hanging in my room for quick access. After I realized how great of a system this is for allowing children to select instruments and adaptive, I decided to add a few song favorites into my PECS options… and the kids loved it! I made the photos easily identifiable for example, a spider for “Itsy Bitsy Spider”, a bus for “Wheels on the Bus”, a dinosaur for “We are the Dinosaurs”. I made a large song board that allowed for a schedule on the side as well as a spread sheet of options for my kids to choose from. This also was a hit for my private groups as well. Even if they didn’t exactly know what was coming next specifically, they were able to see that something was planned and there was a schedule to follow. It allowed for a smoother transition. I could even let a child go up to the board and move the schedule to the next activity, which gave me a few seconds to prepare for the next intervention. For my individual clients, I was able to use a PECS board and place instrument selections or song selections on the board and hold it next to us. If verbal, the client could select the instrument they wanted to play and use a phrase like “I want ____” or “I want to play the _____”. If non-verbal, I would place the PECS close together and they could isolate one finger to select which option they would like to choose. This all works on fine motor, cognitive, social and communicative goals. 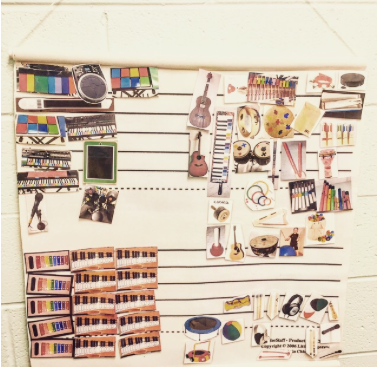 There are so many ways to use PECS and song boards in your sessions. Have you ever used anything like this in your sessions? What has worked? What hasn’t worked? Let us know in the comments below!